The dust in the form of dirt and moisture accumulates is the blower or fan unit of the AC.Bits and pieces of papers and waste are also known to make their way into the blower. So, it is important to do a Blower Inspection while doing the car AC Service. 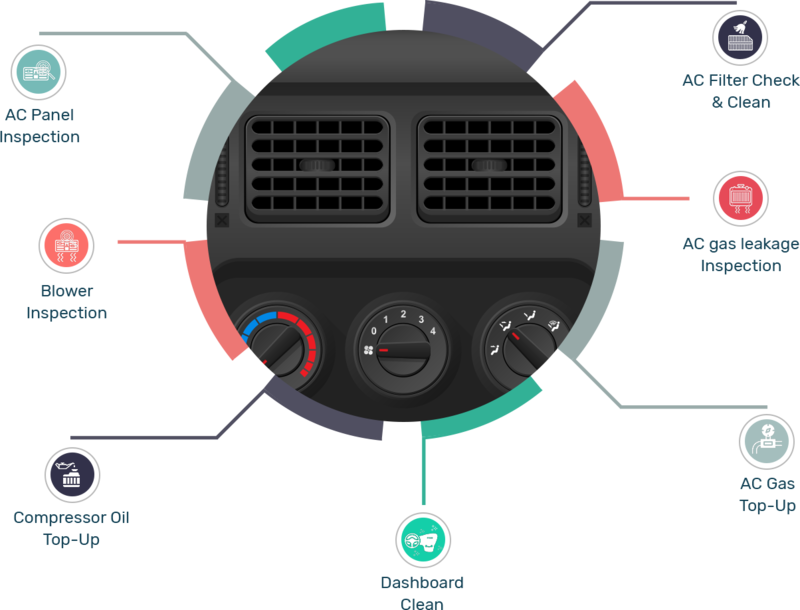 The compressor is only the moving part in the Airconditioning system of the car, in order to produce cool air, the compressor needs to pump the gas relentlessly. It only does when it has full and good oil in it. So, it is important to do a compressor oil top-up while doing the car AC Service. R134a is the latest compressor which is environmentally friendly since it is lighter in nature it escapes through small cuts and holes of the pipe. So, a through gas leakage inspection is mandatory while doing the car AC Service. 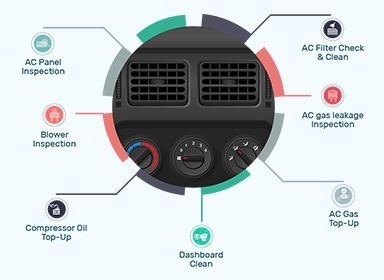 AC Gas is converted into condenser fluid in the AC unit and converts the hot air into cold air which is blown into the vents.So, to produce cold air AC gas needs to be inadequate and thus it needs to be topped up.